This paper presents methods to calculate sample size for evaluating mediation by joint testing of both links in an indirect pathway from exposure to mediator to outcome. Calculations rely on simulations of the underlying data structure, with testing of the two links performed under the simplifying assumption that the two test statistics are asymptotically independent. Simulations show that the proposed methods are accurate. Continuous and binary exposures and mediators, as well as continuous, binary, count, and survival outcomes are accommodated, along with over-dispersion of count outcomes, design effects, and confounding of the exposure-mediator and mediator-outcome relationships. An illustrative example is provided, and a documented R program implementing the calculations is available online. Mediation Indirect pathway Sample size Power Generalized linear models. Electronic supplementary material The online version of this article (doi: 10.1007/s11121-014-0528-5) contains supplementary material, which is available to authorized users. The work of Torsten B. Neilands on this research was supported by National Institutes of Health Grant P30 MH062246. The authors thank Charles E. McCulloch and Steven Gregorich for helpful discussions. Kenny, D. (2013). PowMedR. 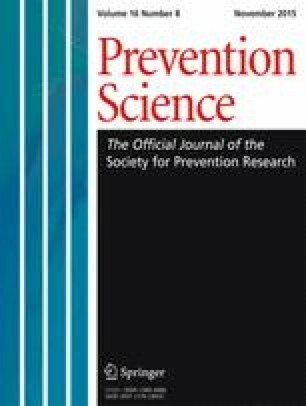 R program to compute power of joint test for continuous exposure, mediator, and outcome. Available at http://davidakenny.net/progs/PowMedR.txt. Muthén, B. (2011). Applications of causally defined direct and indirect effects in mediation analysis using SEM in Mplus. Available at http://www.statmodel.com/examples/penn.shtml#extendSEM. R Development Core Team. (2014). R: A language and environment for statistical computing. R Foundation for Statistical Computing. Austria: Vienna. http://www.R-project.org. Wang, E., & Xue, X. (2012). Power and sample size calculations for evaluating mediation effects in longitudinal studies. Statistical Methods in Medical Research. Available at http://www.smm.sagepub.com/content/early/2012/12/05/0962280212465163.full.pdf+html.